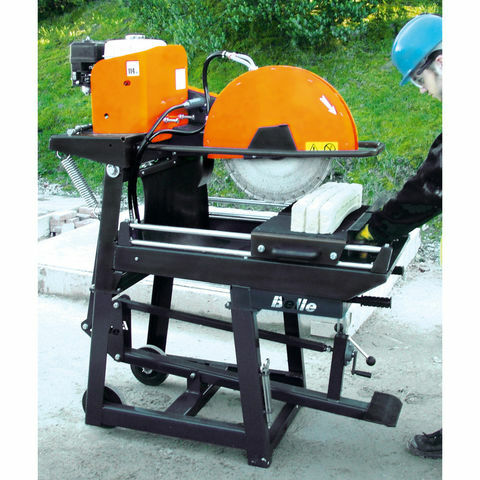 A portable bench saw for cutting bricks, blocks, large tiles & slabs. 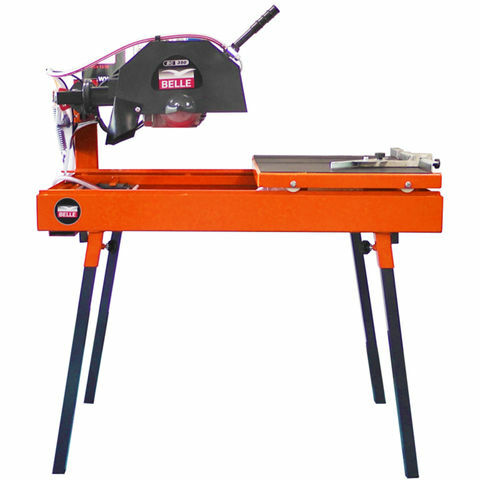 Durable enough to withstand the rigours of daily site use & with a side mounted cutting arm & blade for 'straight-through' cutting capacity in long materials . 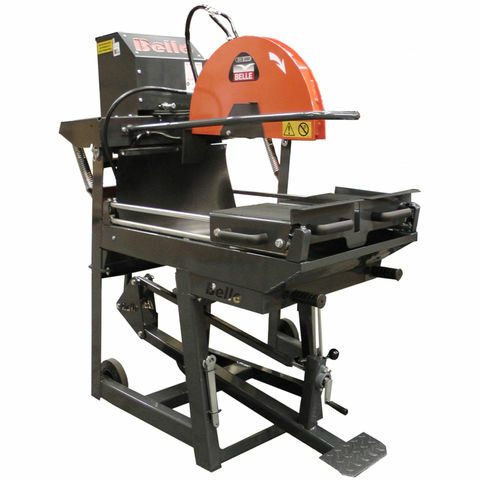 The BC350 also has a sliding material table, a water pump to create an effective spray system to minimises dust & lubricate the blade and detachable legs for easier transport.